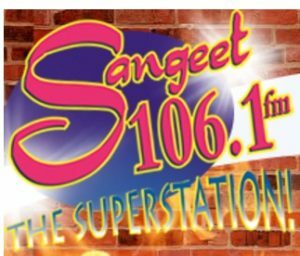 Sangeet 106 FM Radio Live Online . Listen Over 100 Hindi Radio Stations Online . It was Founded in 1995 . Sangeet is part of the Trinidad Broadcasting , which is a division of the Trinidad Publishing Company, a member of the Ansa McAl group of companies .